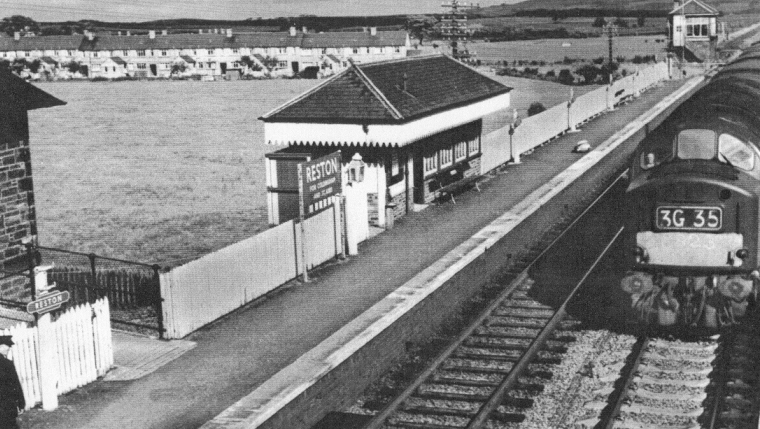 Reston Station opened on 22nd June 1846 as part of the North British Railway Company’s Edinburgh to Berwick railway. Only four days after the opening, the NBR applied for (along with 5 others) an Act of Parliament to run a branch line from Reston to Duns. The auction mart at Reston opened shortly after and florished as the railway brought all the stock from near and far in many large cattle trains. 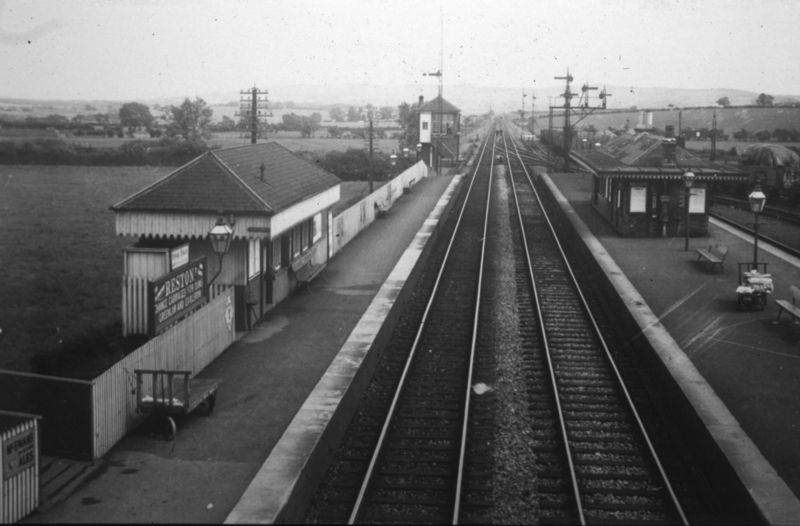 The Duns branch opened on 13th August 1849 as a twin line but passenger receipts were very poor. Two large Berwickshire landlords pressed the NBR to accept £5000 worth of land such that the branch could be extended west of Duns. The Berwickshire Railway as it was then known as, was opened to Earlston on 16th November 1863 and eventually across the impressive Leaderfoot Viaduct to Newstead coalyard/Ravenswood Junction on 2nd October 1865. Reston Junction’s demise was to begin in 1948 with the great flood on the 12th August. Not only was the East Coast Main Line breached several times with the Water Eye bursting its banks but the Berwickshire line was also breached west of Duns at Langton. 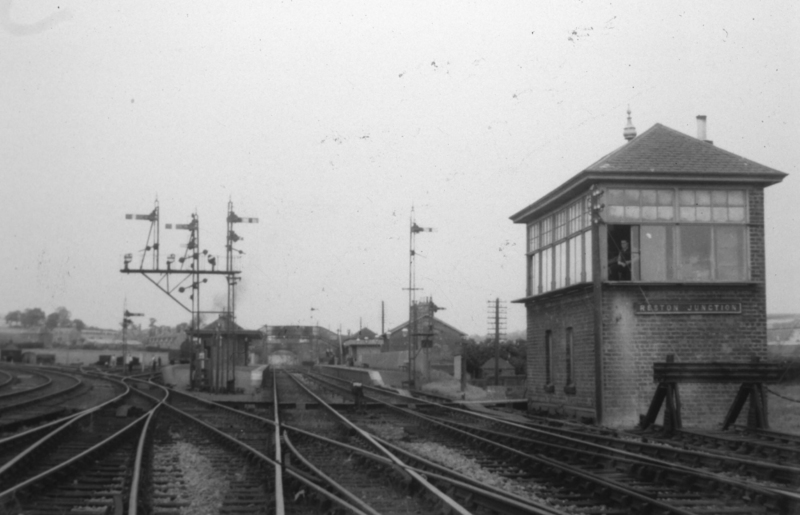 Reston therefore returned to being a branch junction station which must have reduced its importance and income to a great extent. Passenger services on the branch were withdrawn on 10th September 1951 and at Reston on 4th May 1964. Freight ceased on 7th November 1966 resulting in total closure. Today all that remains of Reston station is the Station Masters house, part of the up platform and Engineers sidings for when track maintenance is being carried out locally.